"The cruise ship has set sail, and I still haven't received my luggage." This complaint is the worst nightmare for any cruise ship hotel director. "It may take weeks or more to recover the lost luggage, or never." A hotel director of a luxury megaton cruise ship reported. To find one lost-baggage may seem challenging enough. However, the embarkation is even more challenging; during each embarkation process, their staff has to load up to 6000 pieces of checked baggage on board and deliver them to the correct rooms within just 2 hours, all taking place behind the sight of the boarding passengers. How to deliver passenger's the "checked-luggage" into the correct cabin (100% correct with zero lost) during a short-embarkation time? It is a big question which troubles all cruise lines. 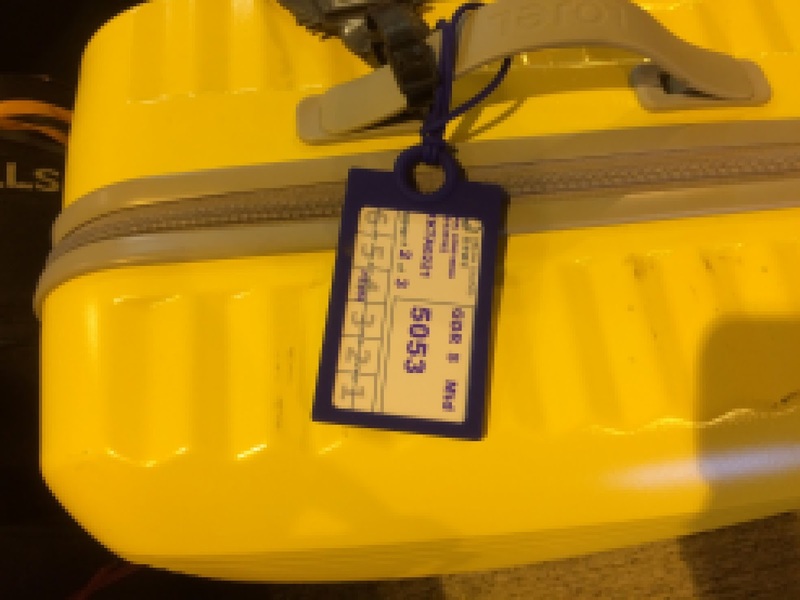 A cruise line in Hong Kong has recently made the best uses of NFC and UHF combined card (dual frequency tag), to keep track on all passenger's "checked-luggage" (the baggage to-be-delivered to rooms by porters and cruise staffs). During the embarkation, all luggage will be attached with a dual-frequency tag on, with a listing of the guest's name and cabin room number using re-writable ink. Hundreds of UHF RFID readers and thousands of IP cameras has been installed on the ceiling on board to monitor the whole process of baggage delivery starting from port-side check-in, loading on a trolley, boarding by staff, and individual delivery to the cabin, to prevent any loss of baggage. Dual-frequency tags provide the best mix of equipment on the ship. Stationary RFID readers use UHF (ultra high frequency) for long range reading, they are strategically positioned inside the cruise ship, such as shell door luggage lobbies, halls, aisles/passageway and lift lobbies; sensitive enough to capture the passage of any tagged luggage. On the other hand, HF (high frequency, NFC is one of the HF) is used in check-in and staff's delivery confirmation because HF/NFC is a very common feature on staff's handheld terminals. These staff's multi-function handheld terminals are always installed with numerous apps for other business flow such as voice-com, tasks-assignment or reporting, which would be very expensive and bulky to equip UHF features. All baggage-delivery staff will use HF mobile android handheld for 1-to-1 baggage scanning, and also record the room number after they have delivered them, simply by tapping the handheld on the door tag. The baggage's image is also recorded in the system, just in case. In case there are lost-baggage reported, this baggage tracking system will tell the baggage location whether it is on the ship or still on the port. It is very common due to the overloaded x-ray machines or detained by security, and the passengers on board weren't notified. The system owner has soon found this system really does pay off by reduced luggage lost and late departure penalty from the port; It also rebuilds the confidence of passenger to use checked-luggage service; Faster embarkation does boost the income from other entertainment business on board. And finally, the improved cruise line brand image is also invaluable. The comprehensive UHF RFID reader system installed on board will further extend their functions to the SCM (supply chain management) in cargo loading, hotel-asset tracking such as uniform or linen tracking (prevent the loss of hotel towels) and personnel location tracking, etc.